Howard Pollack-Milgate, Professor of German, received his Ph.D. from Indiana University in 1998. He teaches German at all levels and has taught classes in the Women's Studies, Jewish Studies, and Honor Scholar programs. His research centers on the Romantic period and further developments of Romantic and Idealist thought in psychoanalysis, philosophical anthropology, and contemporary philosophy. 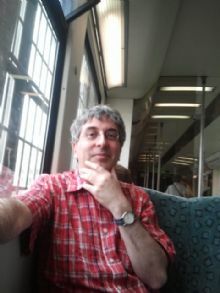 He has published on topics such as Novalis and mathematics, as well as a translation of Heine's Zur Geschichte der Philosophie und Religion in Deutschland.